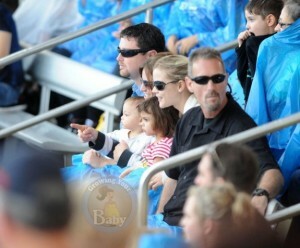 Home » Sam and Charlie Enjoy Seaworld With Their Aunt Josefin! Sam and Charlie Woods were spotted this afternoon enjoying some time with their Aunt Josefin. The trio, who were joined by 2 security guards and a nanny, managed to snag a front row seat to the show!